Ditch the light snowpack in Bitterroot Valley with a short trip to 300 inches of powder at Lost Trail Powder Mountain and Montana Snowbowl. Find endless powder bowls or groomed snowmobile trails at Lolo Pass or Skalkaho Pass and get your thrills at top speed in the mountains. 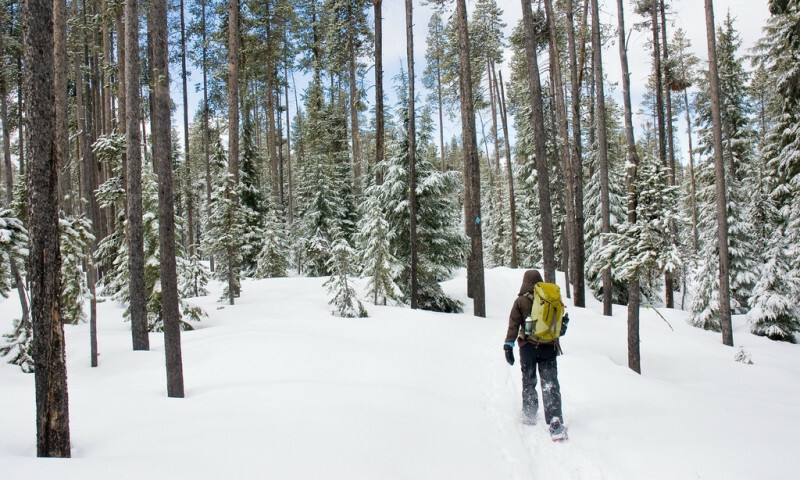 Scrunch through the snow at Lolo Pass & warm up at Lolo Hot Springs. Or stay on the beaten path with groomed trails at Lost Trail Pass or Lake Como. Skate ski or cross-country ski on picturesque groomed trails around Lake Como or on Lost Trail Pass. Guided trips available or rent your own skis. While the valley itself only holds a few inches of snow in the winter, the surrounding mountains offer a complete winter playground. Skiers and boarders can take their pick from Lost Trail Powder Mountain at the southern end of the Bitterroot Valley or Montana Snowbowl just north of Missoula. Backcountry skiing is accessible from Montana Snowbowl and Lost Trail ski areas. Or venture further into the backcountry at nearby lodges and yurts. 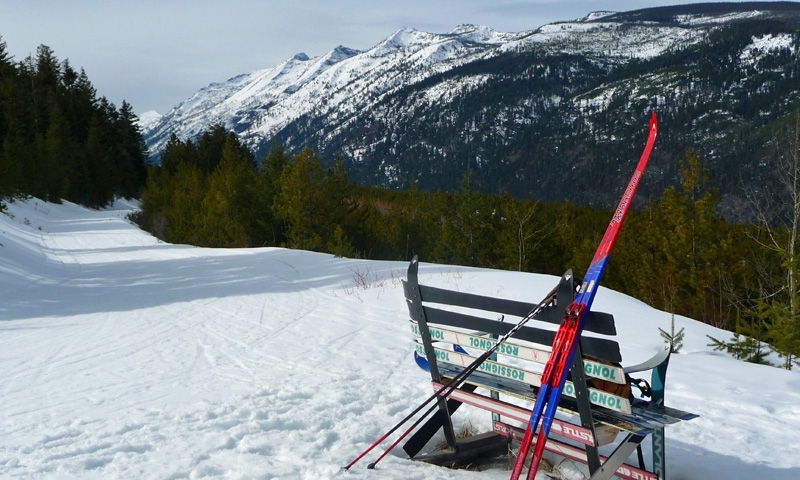 Two well maintained cross country ski areas offer a wide variety of terrain and views. Check out either Lost Trail Pass trails or Lake Como trails. 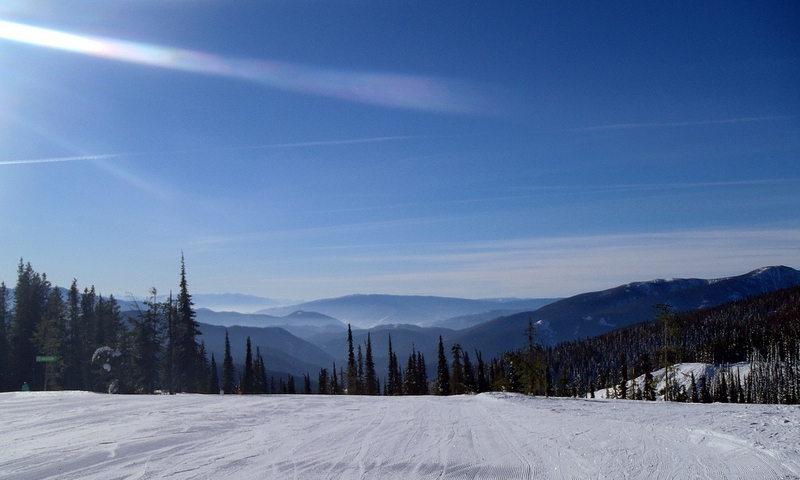 Snowshoers can enjoy the groomed trails at Lost Trail Pass or at Lake Como or head out on their own at Lolo Pass. While there are no official ice climbing guiding services in the area, ice climbs flock to the nearby Blodgett Canyon to climb its frozen walls. The Darby Public Library maintains a small ice rink and even lets people borrow skates. Head to Lolo and Skalkaho Passes for both groomed trails and backcountry terrain. 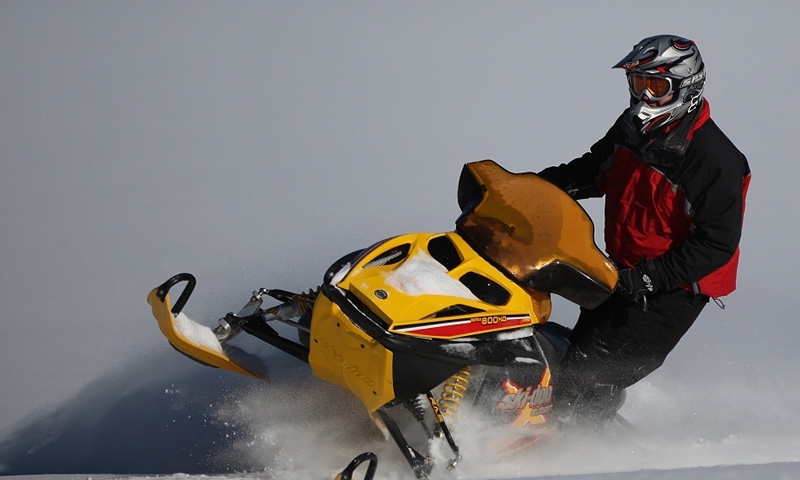 A few outfitters offer sleigh rides and dog sled tours in the area, depending on how much snow is on the ground.